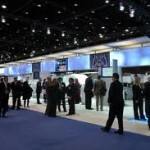 5 Tips for Maximizing Your Trade Show Experience by Sydney Arnett, Marketing Specialist DRI & DCA - Direct Recruiters Inc. The 2015 trade show season is quickly approaching. After the holiday season, The DRI team will go into trade show mode. Whether you are attending these shows as an exhibitor or a visitor, it is important to maximize your time and get the most that you can out of the show. For those of you asking yourselves why you should attend a trade show—there are lots of reasons! As an exhibitor, benefits include increased sales, face-to-face meetings, promotion of your brand, competition evaluation, and building credibility, to name a few. As a visitor, one of the main benefits is that you can meet large numbers of useful people in your industry in once place. If you are attending a show on behalf of your company, trade shows are a great way to forge good business relationships and make face-to-face contact. Trade shows are also the most time efficient forum to keep up to date with new to market technology, state of the art products, and innovations and developments in your specific industry. Visitors: Make a list of the goals you want to achieve by visiting the show. Spend time researching the vendors so that you’ll have a clear idea of who you need to see. Make contact before the show with key people you want to see and either set up a time to meet or at least get their telephone number so you can contact them once you arrive at the show. Bring a bag to carry everything you pick up, like promotional items. Visitors: Take plenty of business cards and any other materials you want to hand out. If you are representing your company, be sure to bring any literature that you want to give other visitors or exhibitors. Exhibitors: Be sure to bring all of your marketing materials, including pamphlets, brochures, and other literature on your company and its services. Giveaways are also good and provide a valid reminder of your brand and tend to draw people to your booth. Visitors: Your personal appearance is important and is a representation of you and your company. Wear business attire and wear comfortable shoes. 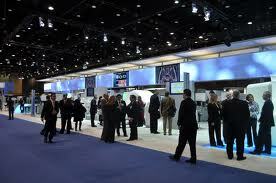 Exhibitors: Make sure that your booth, and staff, are a good representation of your company. It is important to have an eye catching and functional display system to show off your merchandise or services as well as to attract and educate more potential clients about your business. Even if you get tired, don’t pack up and leave early and don’t sit there and look like you’re waiting for the minute the show ends. This will make someone ask themselves, “Is this someone I want to do business with?” Staying energized and engaged until the trade show is officially over (or longer) proves to customers that you are a company committed to the trade show—and to their business. Visitors: Take advantage of the opportunity to meet industry peers. Don’t be afraid to introduce yourself to others. By taking the initiative, you can promote yourself and your business and make valuable contacts. Exhibitors: For many businesses, attending trade shows is one of the best ways to network and spread the word about your company. Engage with visitors and establish new relationships. Visitors: Ask permission to follow up with new contacts and make sure you understand the prospect’s preferred method for doing so. Also, follow up with companies you requested additional information from. If you missed any companies while you were at the trade show, feel free to reach out to them after. Exhibitors: Contact everyone you met at the show within two weeks. Separate contacts/business cards out by hot lead, warm lead and cold. This way you can easily establish the priority of who to contact right away. The goal is to move your relationship forward while the trade show is still fresh in their minds. Following up promptly is key to successfully maximizing your new contacts. A good idea is to organize a follow-up date for a qualified lead while at the trade show. Whether it’s setting a date for a follow-up call or related to sending some follow-up materials, you must plant the seeds for a continuing discussion. People will be much more likely to keep you in the forefront of their thinking once they know that a follow-up is pre-arranged.